Style and beauty in a small car, yes all this was perceived and designed by John Cooper who has the honor of designing and building Formula One rally cars. MINI Cooper made its first debut in 1961. Since then, it took the hearts of car lovers and in 1999; it became the second most influential car of 20th Century. In 2012, the auto company came up with its exquisite models. Let’s take a look which one is the most stylish. 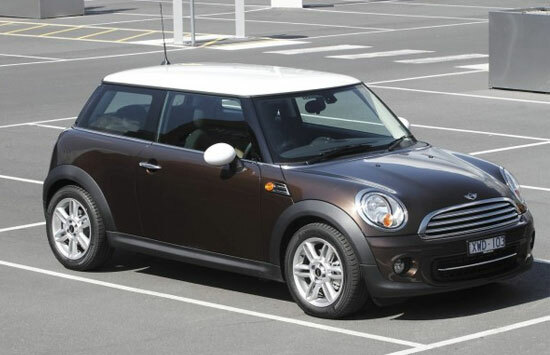 The first on our list is 2012 Cooper Clubman. This 4-door, 5-passenger car exhibits an elegant design with raised silhouette and graceful outlook. The 7-hole alloy wheels, fog lights and chrome line design add to the pepper exterior. Three trims are available including Base, S and John Cooper Works. A 1.6-liter, I4, engine is available on the Base model that can give 118-horsepower while on the John Cooper Works it can generate 208 hp. The 6- speed manual and automatic transmission can give fastest acceleration. The interior is fashioned with floor mats in velour, leather steering wheel, On-board computer and passenger seat height adjustment. The standard safety is made sure by rigid chassis, air bags, dynamic stability control and braking system. 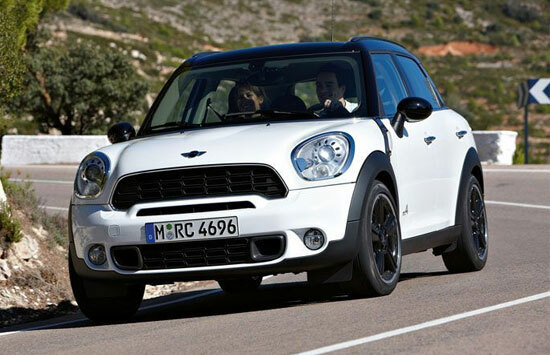 The 2012 Cooper Countryman is a black luxury with sharp grille, prominent headlights and large tailgate. This 5-passenger wagon is available in 3 trims, varying from the Base to the S ALL4. The Pepper and Chili packages are offered on the Countryman. The interior is comfortable and sports seats are standard on Chili package. The top class safety is provided by both active and passive safety systems. A standard 1.6-litercan give an output power of 122hp. The fastest acceleration of 0-62mph is achieved in 10.5 seconds. 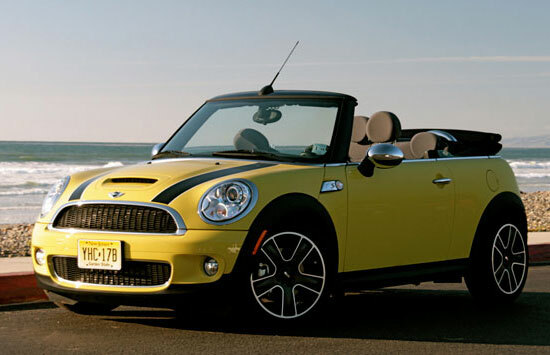 The 2012 Cooper Convertible is four- seater convertible that is chic, modish and elegant. The stunning exterior will let you stop in your tracks and compel you just to have a look at it. The chrome radiator grille and LED rear lights adds to the exterior. The interior is designed with sporty seats and central speedometer that gives it a more impressive look. It is also equipped with 1.6-liter engine that can give powerful performance. Safety features are at its best and let you drive this convertible even at high speeds. 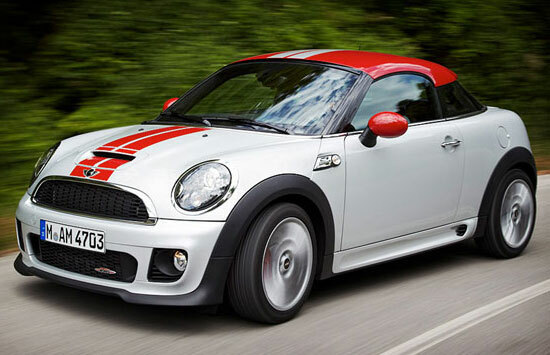 The 2012 Cooper Coupe is a small 2- door- 2 passenger car with eccentric exterior. The flat, inclined windscreen and the rear with the integral spoiler and its tail end enhance the exterior. The interior is comfy with premium leather seating surface. The black interior also matches the charcoal roof liner. This super fast coupe can give a top speed of 127 mph. The 2012 Cooper Hatch is a family coupe and will give your family a lavish ride. 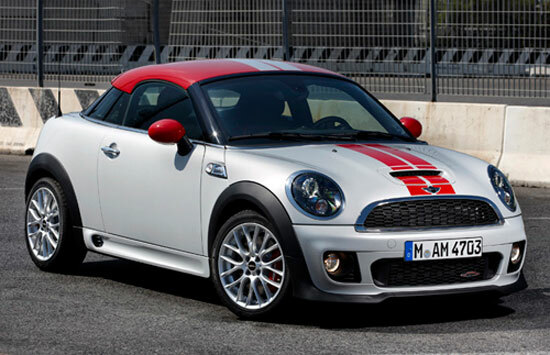 The bonnet stripes, and contrast roof in black or white and 15-inch alloy wheels makes it look unique and stand out of other models of the Mini Family. The interior is loaded with stat of the art accessories and equipment. Automatic air conditioning keeps the vehicle cooler. The safety of the passengers is ensured with advanced safety features. The 1.6 liter engine is capable of giving roaring speed. So, which one is your favorite among these 5 super stylish cars. Do let us know?? ?